On the sunny apple plateau of Naz/Sciaves, the Gasser family welcomes you to a fun-filled vacation in South Tyrol’s Isarco Valley. Our house is located on the outskirts of the small village of Rasa; it offers the perfect destination for school trips, youth groups and sports travel. Our youth hotel is open all year round – in any season, we will turn your holiday into an extraordinary experience. On the apple plateau in the Isarco Valley, on average there are 300 days of sunshine per year. 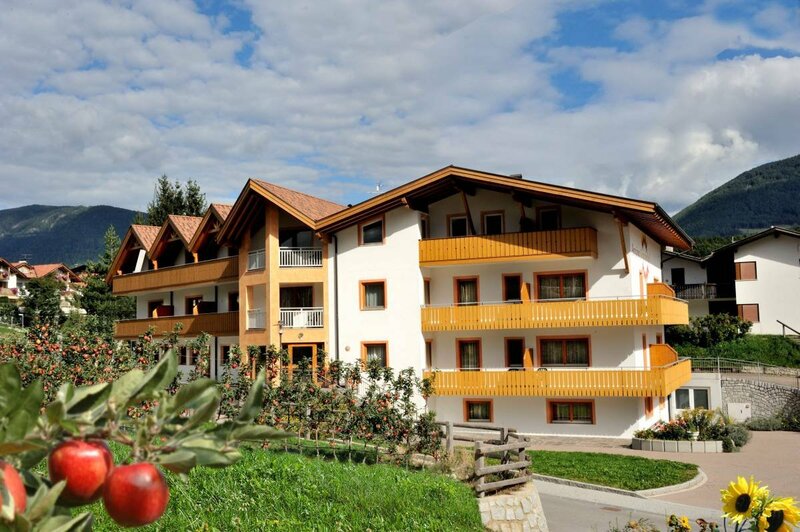 The Pension Sonnenhof is located at an altitude of 820 meters above sea level and is the ideal starting point for varied activities in the mountains of South Tyrol. 29 bright and comfortable single, double and multiple rooms for 4-6 persons are waiting for you at our youth hotel. Each unit has a private bathroom and a balcony. Three dining rooms are available for our guests. You may choose between half board and full board. As part of the full board service, upon request, we provide a packed lunch for your daily excursions. Vegetarian alternatives are possible at any time. The tasty, youth-friendly dishes offer a combination of South Tyrolean and Italian cuisine. In the summer, once a week, we organise a barbecue evening in the outdoor area. In our hotel for groups, we are well prepared to satisfy the needs and wishes of children and adolescents. The on-site playground and sports field includes a small football field, a volleyball court, a badminton court and a basketball court. At the boulder wall, climbing fans can make their first experiences on the steep wall, while the heated outdoor swimming pool in the garden area of the Pension Sonnenhof offers cool refreshment on hot summer days. Rafting tours on the river Isarco, geocaching on Mount Plose and excursions to the high-ropes courses in the villages of Funes and Issengo offer plenty of variety during your holidays on the apple plateau in the Isarco Valley. 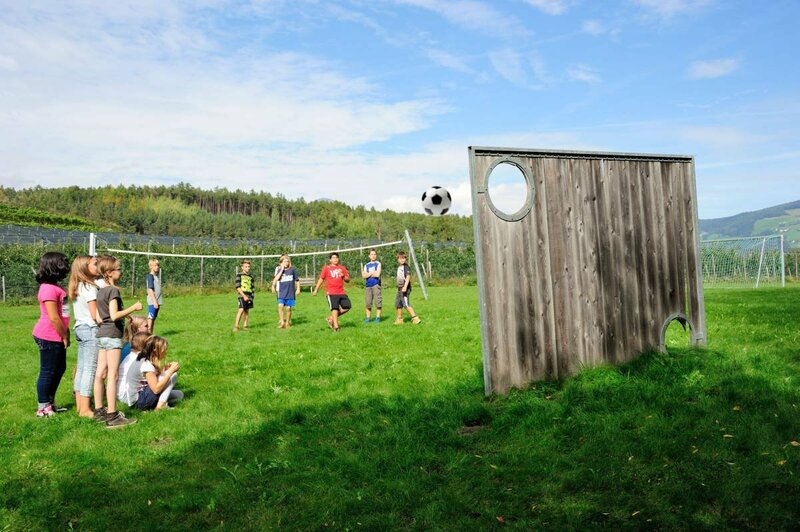 There is no space for boredom at the youth hotel Sonnenhof. In case of bad weather, the indoor area is ideal for fun and games. In the common rooms, you will find a pool table, table football and table tennis. A multimedia room with TV and DVD player is available, as well as an Internet Point for free surfing in the World Wide Web. For attendants and supervisors, a free Wi-Fi connection is available in all rooms.